INCLUDES MOTOR MOVER AND IMPALA UPHOLSTERY! 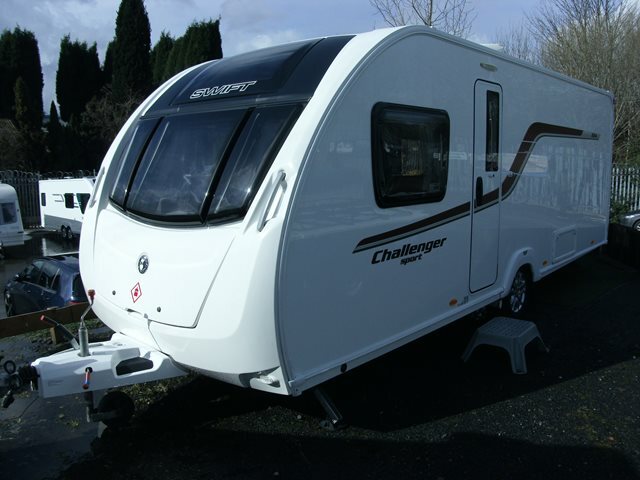 This is an excellent four berth caravan from Swift, part of their hugely popular Challenger Sport range. The 584 features a transverse island bed with full end washroom, central kitchen and two bench seats at the front which converts to another double. This Challenger Sport comes fitted with microwave, CD/radio player, blown air heating, full oven and grill, fridge and has a separate shower. This 584 also includes a fitted motor mover and the upgraded easy clean Impala upholstery! For any further information please call 01384 636465 and ask for a member of the sales team.